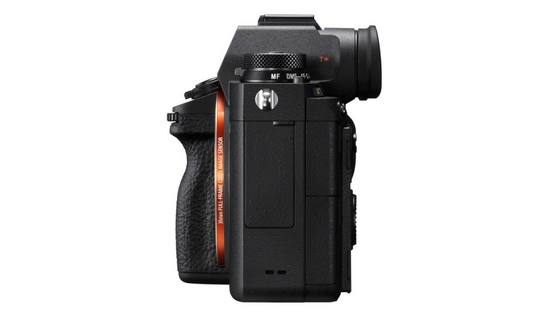 Hasselblad, the high-end camera manufacturer, has today announced the Hasselblad X1D Field Kit. As the name suggests, it is nothing but a collection of tools and accessories professional photographers might need to get the most out of the X1D mirrorless camera. The kit consists of the X1D-50c camera itself, along with three XCD lenses (30 mm, 45 mm, and 90 mm), two batteries, shoulder and wrist strap, cleaning cloth, dust blower, lens pen, and a USB cable. 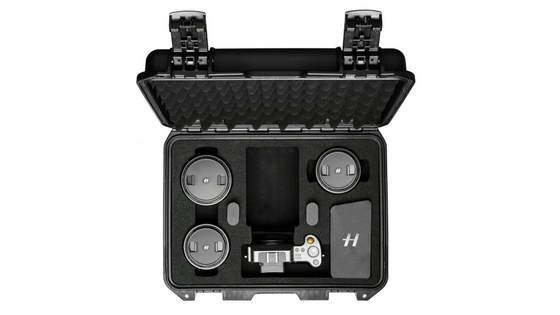 A sturdy Pelican case sporting custom-cut foam inserts is used to keep all the stuff together. 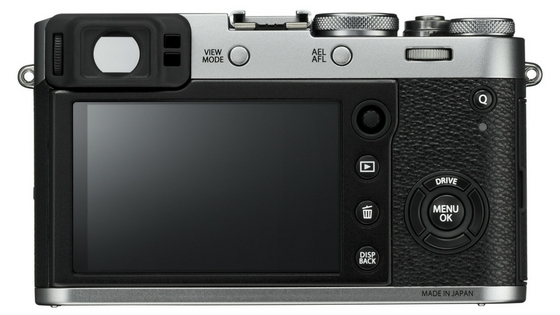 Regarding specifications, the X1D camera comes with a 50 MP CMOS sensor, 24-bit TFT touch display, GPS and WiFi sensors, and XGA electronic viewfinder. 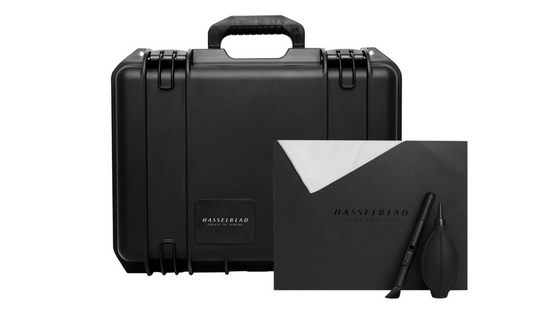 The Hasselblad X1D Field Kit can be pre-ordered for $17,495. It will start shipping September 20 onwards. Sony has announced their latest interchangeable lens camera, the Sony A9. The company is claiming it to be the most technologically advanced and innovative digital camera they have ever created. The camera supports continuous shooting at 20 frames-per-second (up to 241 RAW images). 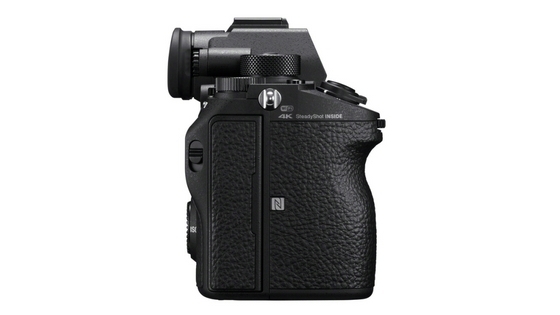 Moreover, the electronic viewfinder will not be blacked-out, enabling the user to see what exactly is being captured. It boasts of a maximum shutter speed of 1/32,000 second. The sensor used is a full-frame 24.2 MP Exmor RS CMOS. It is paired with an upgraded BIONZ X processing engine. The focusing system of the Sony A9 features 693 phase detection autofocus points, thus covering around 93% of the frame. 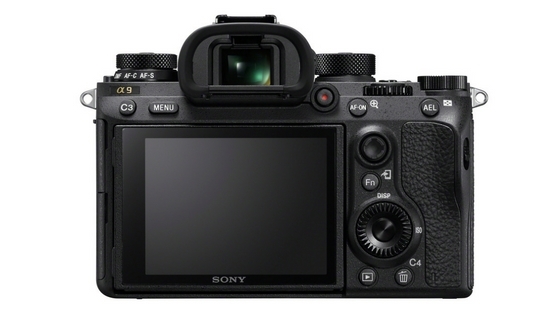 The updated Fast Hybrid AF system is claimed to be around 25% faster that the one found in Sony A7R II. The shutter used is electronic and is thus free from any vibration or noise. The battery used is a Z battery, with double the capacity of a W battery. There are two slots for extending the storage via SD cards, along with an Ethernet port. If required, same data can simultaneously be recorded to both cards. 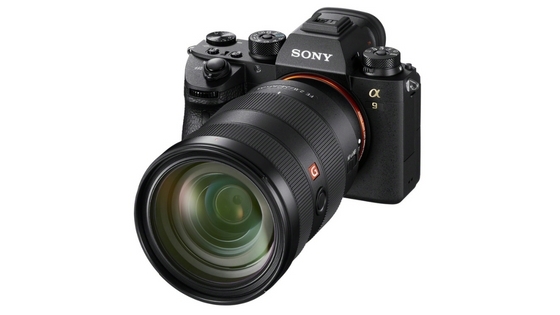 Sony A9 features a Quad-VGA OLED screen with 3,686k dots approx., which is the highest resolution viewfinder ever in A series of cameras. The electronic viewfinder has coatings to reduce reflections and repel dirt. The frame rate of the viewfinder can be configured to either 60 or 120. The camera is equipped with a five-axis image stabilization system. Focus can be set via the joystick fitted at the rear of the camera, or by touching the LCD. Sony A9 can record 4K (3840x2160p) videos. The raw footage is collected at 6K resolution, which is then over-sampled to produce a high-quality 4K video. FHD recording is done at 120 fps, which can then be edited to create 4x or 5x slow motion videos. 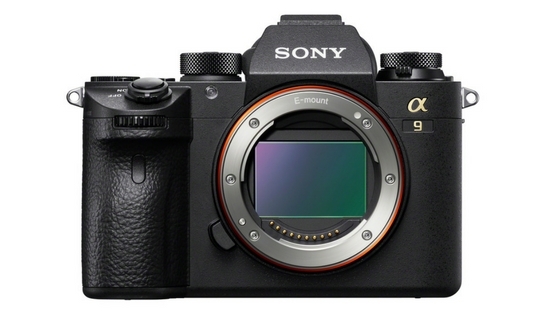 Sony A9 will start shipping June onwards. It is priced at £4,500 ($5,765 approx.). Fujifilm has launched their latest interchangeable lens camera under the X-series, the Fujifilm X-T20. 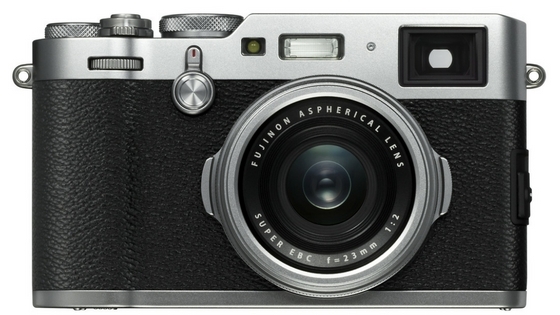 Another camera, the Fujifilm X100F, has also been launched. 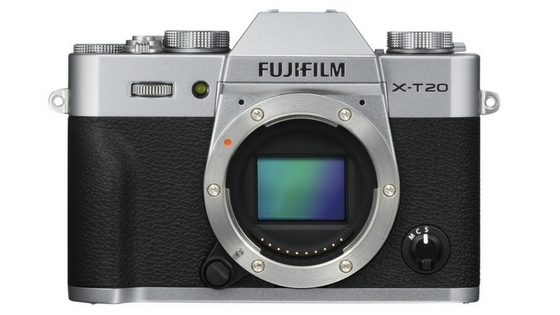 The camera features a 24.3 MP X-Trans CMOS III APS-C sensor, along with X-Processor Pro image processing engine. The body of the camera is compact and light in weight. It is made from magnesium alloy. The three dials on the top are made from aluminum. The drive dial has a Video option to switch between photo and video modes instantly. 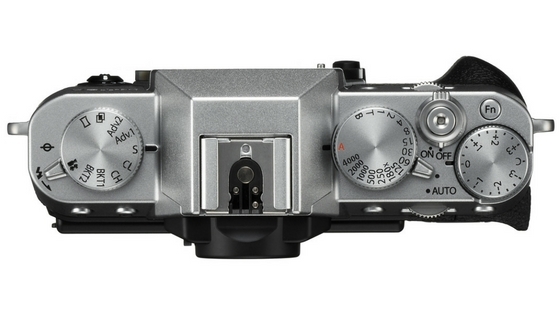 The exposure compensation dial has the C position for up to 5 stops (on either side of zero). Fujifilm X-T20 features a 3-inch tilting TFT LCD capacitive touchscreen with 1,040K dots. The number of focusing points has gone up to 91 (from 49 in the previous model). The phase detection autofocus points cover a larger area of the frame for a fast and precise focus. Fujifilm X-T20 comes in black and silver color options. It will be available next month onwards, for a price of $900. Smartphone manufacturers these days boast of making the thinnest devices to stand out of the crowd and offer something unique in the over-saturated market. 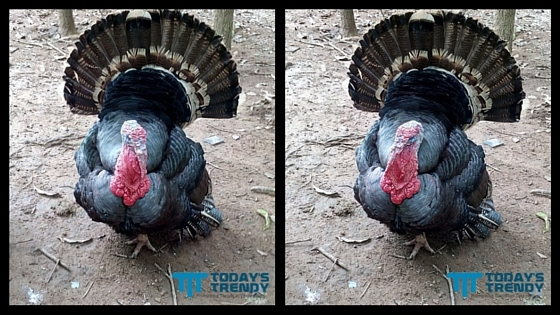 The thickness of the camera lens used plays a significant role in achieving the same. What if there was a camera module that was just a couple of millimeters in thickness? Our phones would then be thinner than we can now imagine! Scientists at the Fraunhofer Institute for Applied Optics and Precision Engineering in Germany have achieved just that! The same was showcased at the Consumer Electronics Show held in Las Vegas earlier this month. Aptly termed the Facet Vision, the technology is inspired by insects and their multi-faceted eyes. Instead of using a single lens, the camera is composed of 135 uniform lenses. They are placed close to each other forming a mosaic. Each one captures a part of the subject, which is later combined to yield the complete picture. With the currently available technology, it is expected to be used in robot technology, automobile industry, medical engineering, and printing industry among others. The camera is just 2 mm thick - a huge difference from the usual 5 mm lenses used in smartphones. Currently, the scientists have been able to achieve up to 4 MP resolution using this technology. However, further research suggests that the number can go up to 10 megapixels, making it a suitable choice for smartphones. Polaroid has announced the latest camera in their instant digital photography lineup, the Polaroid Pop, at the ongoing Consumer Electronics Show in Las Vegas. The body of the camera is black in color. The shutter button stands out due to its red color. 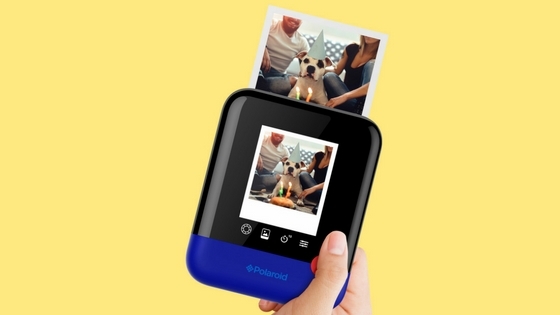 Polaroid Pop features a 3.97-inch touchscreen LCD, a 20 MP CMOS sensor with dual LED flash. It also supports image stabilization and can record 1080p videos. On the storage front, a micro SD card slot with a maximum storage capacity of 128 GB is included. One can shoot in color, black-and-white, or vintage sepia modes. On the connectivity front, the camera can be communicated with via WiFi or Bluetooth. The device comes with an integrated printer which uses the ZINK Zero Ink printing technology that aids in automatically printing color snaps. It uses heat to activate cyan, magenta, and yellow dye crystals embedded in the paper, thus giving a cartridge-free experience. Polaroid Pop will be available sometime in the last quarter of 2017. Pricing details are yet to be revealed. Succeeding the GH4, Panasonic Lumix GH5 is the latest DSLM (Digital Single Lens Mirrorless) camera from the brand. It is announced at the ongoing Consumer Electronics Show in Las Vegas. What is noteworthy is that the camera is capable of capturing 4K videos at 50 or 60 fps (the first mirrorless device to do so), and 6K photos and 30 fps. The 4K video at 60 frames-per-second is shot in 8-bit 4:2:0 color ratio. Increased color depth of 10-bit 4:2:2 can be achieved at 24 frames-per-second. 1080p slow-motion videos can be captured at 180 fps. As far as 6K pictures are concerned, the camera shoots burst images at 30 fps and saves them as high-resolution shots equivalent to an 18 MP one. For the 4K variant, the speed is 60 fps, and the output is like an 8-megapixel image. 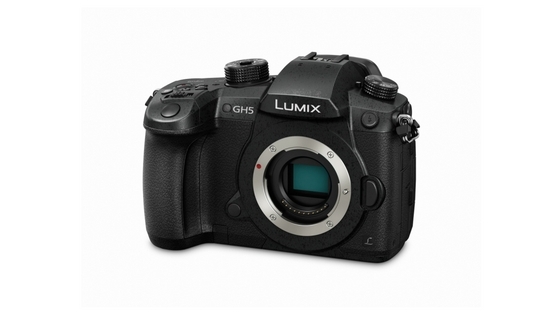 Panasonic Lumix GH5 is formed of a lightweight die-cast magnesium alloy body. The joints, buttons, and the dial are sealed to make the device splashproof and dustproof. On the storage front, the camera comes with a dual SD card slot. The electronic viewfinder boasts of 3,686K pixels. The 3.2-inch OLED screen has 1,620K pixels. The shutter unit can withstand approximately 200K releases. The low-pass filter available in the GH4 is withdrawn from the GH5. The micro 4/3rds Live MOS sensor boasts of a pixel count of 20.3 megapixels. One can use MOV, MP4, AVCHD and AVCHD Progressive formats at various frame rates. Also, there is no time limit for recording FHD and 4K videos. For improved image processing, a new Venus Engine is deployed. It makes sure to use nine times larger pixel area for detailed reproduction of the captured data. It characterizes every pixel depending on its location on the image and optimizes accordingly. Panasonic Lumix GH5 boasts of a combination of 2-axis optical image stabilizer along with a 5-axis body image stabilizer. The noise reduction mechanism is upgraded to high precision, thus improving it four times than that of its predecessor. Depth calculation and contrast autofocus have also been enhanced. The number of focus areas has been increased to 225 for precise focusing. 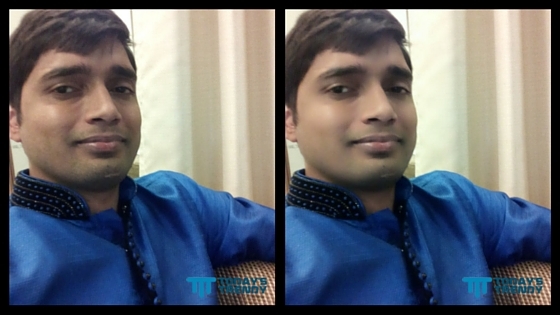 There is also a possibility to modify the focus point after the image has been clicked. One can also utilize Focus Stacking to click many snaps of the same frame with different focus points, and combine them later for a perfectly focused shot. Panasonic Lumix GH5 will be available in late March this year at a price of $2,000 (body only). 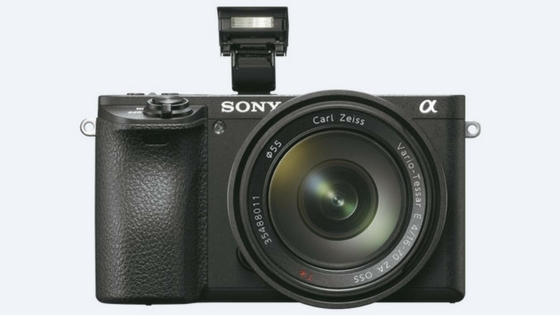 Sony has launched their latest flagship camera, the a6500. It comes with an APS-C sensor. 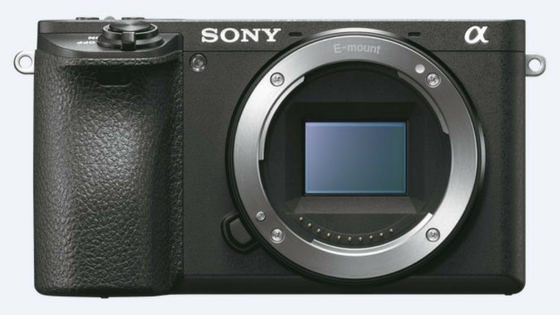 It succeeds the Sony a6300 mirrorless camera and features the same 4D Focus Fast Hybrid AF (autofocus) system with 425 phase-detection AF points. The camera shoots images at up to 11 frames per second (fps) in the continuous mode, and up to 8 fps in live-view shooting mode. Additional shooting modes include silent shooting, Eye AF in Af-C mode, Expand Flexible Spot AF mode, and Af in focus magnifier modes. The camera is also capable of touchscreen AF for selecting and adjusting the focus point. 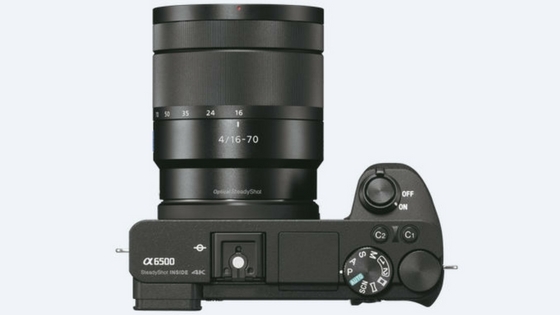 Sony a6500 features in-camera 5-axis optical image stabilization (OIS). What's best is that this new stabilization system fits within the body of the camera, all thanks to the revised internal design. There is also a 'peek' feature wherein a simple half-press on the shutter button reveals how the picture will look with the stabilization effect in the viewfinder or on the LCD screen. The camera features an APS-C sized 24.2 MP Exmor CMOS sensor. The sensor works with a BIONZ X image processor and front-end LSI to maximize the processing power and ensure superior image/video quality even at a higher ISO setting. The camera achieves a sensitivity range of ISO 100-51,200. Sony a6500 is now the latest Sony interchangeable lens camera to offer internal 4K movie recording. 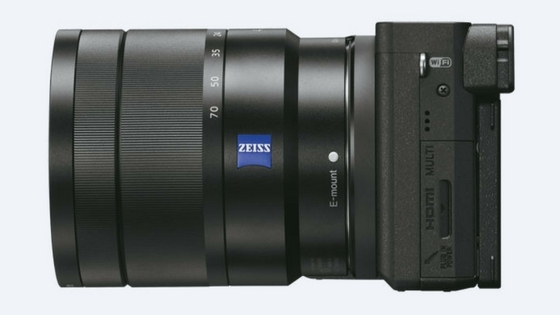 It can shoot 4K (3840x2160) video in Super 35mm format. It can also record Full HD videos at 120 fps at up to 100 Mbps. Still images from videos can be extracted and saved on the camera - 8 MP images from 4K videos and 2 MP images from FHD videos can be snapped. The camera features a magnesium alloy body. The shutter button is highly durable. Other design features include a recessed grip, robust lens mount, soft eyepiece cup, larger release button, and ten custom buttons. Entire Screen Average - average metering for the entire image. 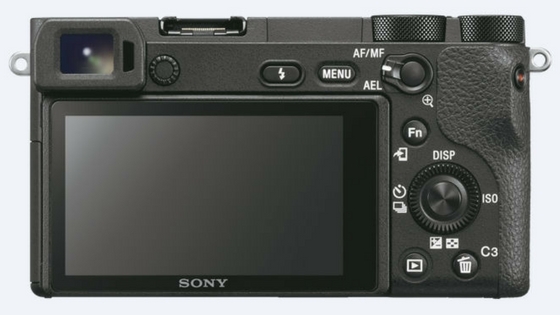 Sony a6500 is WiFi, QR and NFC compatible. It will start shipping November onwards for about $1,400 (body-only). Most of us use memory cards with our smartphones and digital cameras to make sure we have that extra storage when it is needed the most. 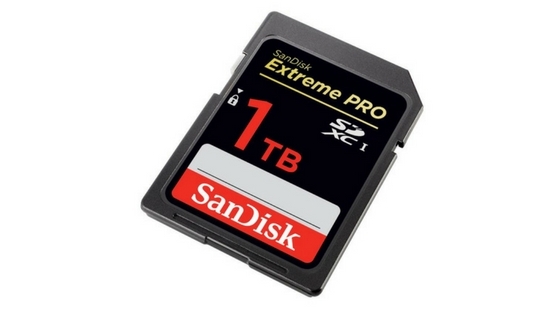 At Photokina 2014, SanDisk introduced a 512 GB memory card. 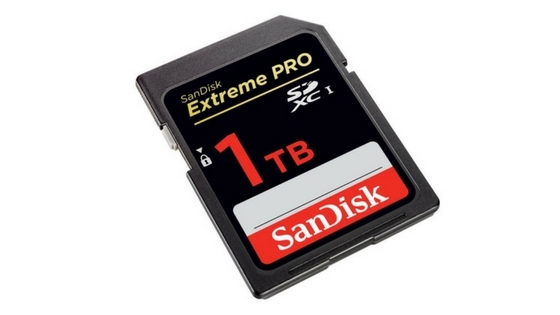 Taking this a step further, they have now revealed a prototype of the 1 TB SDXC card at the same event this year held in Cologne, Germany. Increasing demand for 4K and 8K video content, and applications employing Virtual Reality, 360-degree video solutions, and 24x7 video surveillance systems are perfect candidates that expect more-and-more storage in the devices they run on. This 1 TB card should fit their purpose. said Sam Nicholson, CEO of Stargate Studios and member of the American Society of Cinematographers. Since this is just a prototype, price and availability dates for the product are not known. However, the price can be speculated from the fact that the 512 GB card retailed at $799 in the beginning. The figure later fell to $599. Remember Corning - the Gorilla Glass manufacturer? Yes, the same Gorilla Glass that protects the display of almost every smartphone and tablet available in the market. They have today announced the Masterpix fine glass prints for the Indian market. Note that this is already available in the US since 2014. 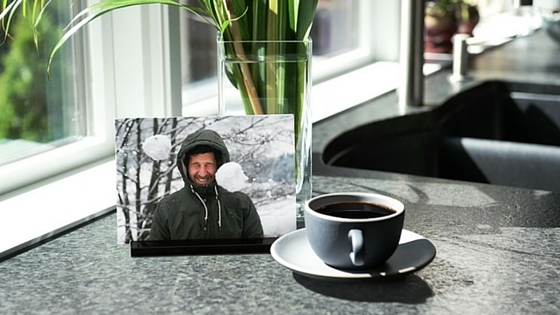 The idea is to use the damage-resistant Gorilla Glass to help preserve your most cherished moments. How? By printing them on the Glass itself! A thin and durable Gorilla Glass is used to print photos on it. The printing itself is done by using UV-cured inks. This creates vibrant and colourful prints on glass. Thanks to the properties of the glass, the prints are scratch-resistant, stain-resistant and easy to clean. Needless to say, this increases the lifetime of the printed snaps, giving more power to the end user to flaunt their memories in style. One can place it on the top of a table, or mount it on a wall. And yes, it might make a good gift as well. Masterpix prints are available in six size options, ranging from 4"x6" to 55"x48" (" stands for inches). One can opt for a glossy or a matte glass finish. 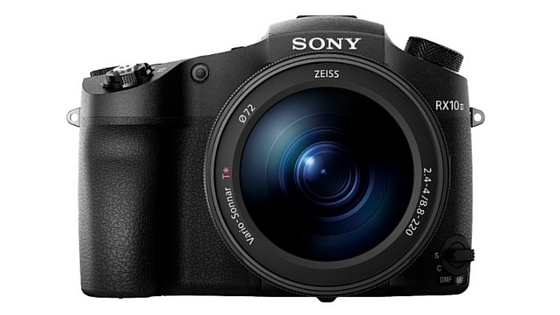 Sony has announced an addition to its Cyber-Shot RX series of cameras, in the form of RX10 III. The USP of this device is its ability to provide extended zoom. The camera is equipped with a back-illuminated 20.1 MP Exmor RS CMOS sensor with DRAM chip and advanced signal processing, along with a BIONZ X image processor. This ensures features like 40x super slow-motion video capture at up to 960 fps, continuous shooting up to 14 fps, ultra-fast Anti-Distortion Shutter with a maximum speed of 1/32,000 second, and high resolution 4K (QFHD 3840x2160) video shooting. The camera has a sensitivity range of ISO 64-12,800. In 4K video mode, the camera captures approximately 1.7x more information than is actually required for a 4K output. This is achieved by using the XAVC S codec, which records video at a rate of up to 100 Mbps during 4K recording, and up to 50 Mbps during full HD recording. The RX10 III comes with an impressive autofocus system, with spatial object detection, allowing the camera to detect and predict the motion of the subject before the shutter button is pressed. This enables the camera to lock on to the subject in 0.09 seconds approx. The camera features a 25x super-telephoto zoom lens, which has a focal range of 24-600 mm, and built-in Optical SteadyShot image stabilization (OIS). This ZEISS Vario-Sonnar T* lens features a maximum aperture of F2.4 – F4.0. The aperture unit has nine blades, designed to create a near perfect circle in the F2.4 – F11 range. This makes the lens capable of shooting images with bokeh effect, and produce high-quality content at a variety of focal lengths and camera settings, which would otherwise need three (or more) lenses for an interchangeable lens camera. The lens features one super ED glass element, five ED glass elements and two ED aspherical lenses, making them eight in all. 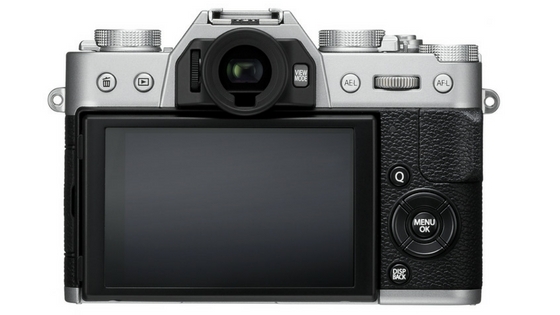 The RX10 III offers silent shooting at all settings and speeds. Other features include Picture Profile, S-Log2/S-Gamut, Gamma Display Assist, Time Code, input for external microphone and output for headphone monitoring. The camera features a high-contrast XGA OLED Tru-Finder with approximately 2.35 million dots of resolution. The device is dust and moisture resistant, and is WiFi and NFC compatible. 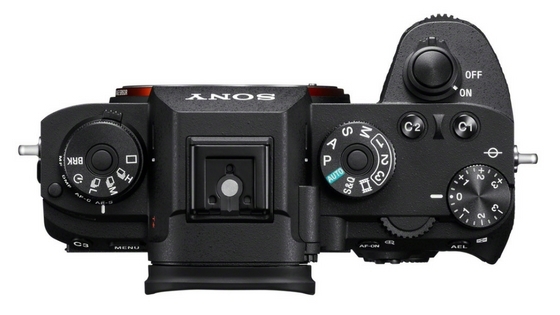 The RX10 III features a number of upgrades in terms of aesthetics. This includes triple lens rings for focus, zoom and aperture for direct, precise control. The hand grip shape has been optimized for the new lens to enhance stability. There is a new focus hold button on the lens barrel. The Sony Cyber-shot RX10 III extended zoom camera will be available May onwards for $1,500. Pentax today announced its full-frame DSLR camera, the K-1. This AA-filterless CMOS sensor comes with 36.4 effective megapixels to capture super-high-resolution images rich in gradation and superb in high-sensitivity rendition. 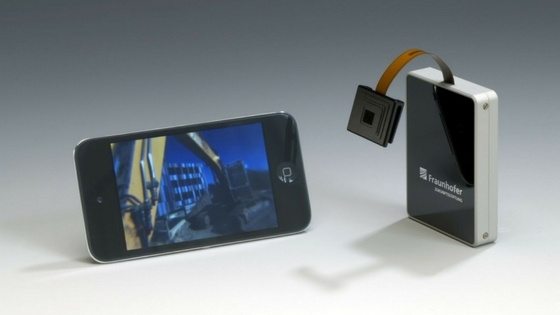 The camera comes with a new flexible-tilt LCD monitor. This rugged yet highly adjustable display can be positioned to the desired angle horizontally and vertically. It also comes with the Operation Assist Lights, which are small, white LEDs that facilitate camera operation in low-light environments. There is also a Smart Function dial that easily allows to select frequently-used functions without going into the LCD menu. Built around the full-frame sensor is a compact, high-performance weather-sealed and dust-proof body. Within its compact body, the Pentax K-1 features several technologies. SR II shake reduction is a highly sensitive five-axis shake-reduction system that is capable of reducing camera shake with a compensation range of up to five exposure steps. It also facilitates other advanced features such as AA Filter Simulator, which effectively eliminates moiré effect without the need for an anti-aliasing filter. The new SAFOX 12 autofocus mechanism with 33 autofocus points assures fast and accurate autofocusing. A newly-designed optical viewfinder equipped with Pentaprism boasts a bright, nearly 100% field of view. Pentax is offering 12 full-frame compatible lenses on launch. This includes the two new models, the HD Pentax-D FA 15-30 mm F/2.8 ultra-wide angle zoom lens and the HD Pentax-D FA 28-105 mm F/3.5-5.6 compact, lightweight zoom lens. Current Pentax lens owners can incorporate their APS-C lens collection into their new Pentax K-1 by utilizing the Crop Mode, which offers in-camera settings for either APS-C or full-frame sized shooting, regardless of the attached lens. There is also an Auto Mode that detects the lens type and sets the camera accordingly. 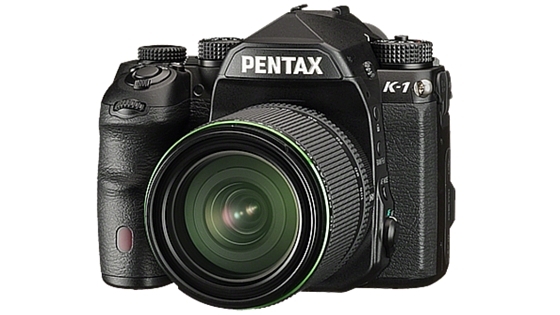 The Pentax K-1 camera will be available April onwards at a price of $1,799.95. One thing that can annoy anyone is a bulky smartphone or a camera. Although our gadgets have lost considerable weight over the years, yet there is room for improvement. What if we told you a paper-thin camera lens can replace today's bulky lenses, in return making the devices slimmer? All thanks to the engineers at the University of Utah, this might soon be a reality! The engineers have developed a method of creating flat and thin optical lenses which can bend light to a single point in space. This is how the traditional camera lenses work, but with all their bulks and curves. Not anymore! As you are well aware, light is composed of several colors. Also, if you are familiar with the concept of refraction (remember the under-water bent pencil school experiment? ), you might know that all those components need to pass through the lens and converge on a single point on the camera sensor in order to capture a photograph. But since each color has different properties and hence, bends differently, various lenses of several curvatures were required to converge all of them to a single point. But not anymore! Using the principle of diffraction, the engineers have developed a super-achromatic lens ten times thinner than the width of a human hair! The light (and its colored components) interacts with the micro-structures present in the lens, and bends, finally converging at a single point. Transparent materials like glass or plastic are the major material candidates with which this lens can be created. 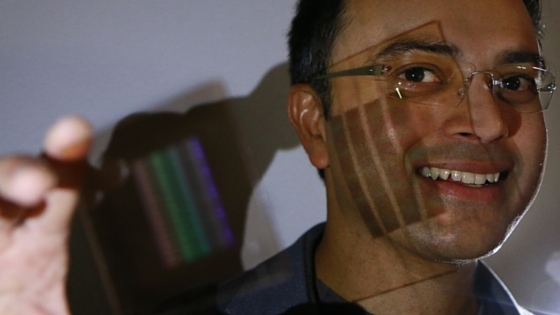 This thin lens is still under prototyping, and we expect to see its commercial applications in the coming years. The world is changing very fast and so are smartphones. Camera has become a prominent feature of any smartphone these days. Some devices have replaced point-and-shoot cameras in terms of quality. Good quality lens has become a USP for any smartphone. In this post, we have reviewed the camera of Swipe Elite 2. Also read the first impressions we had of the device. The smartphone comes with a 8 megapixel rear camera, and a 5 megapixel front-facing camera. The device comes with easy to handle camera interface. All major categories are present on the home screen. Live Mode, Motion Tracking Mode, Selfie Mode, Normal Mode and Panorama Mode options are present at the top of the screen. Flash, HDR and gesture settings are on the right side of the display. Bottom left corner is home for the Settings icon. 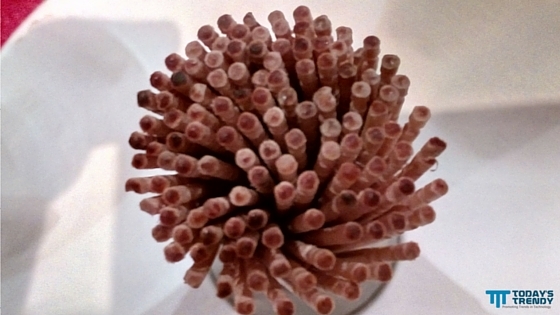 While sitting in a restaurant, we tried clicking a bunch of toothpicks. Shape, color and pattern of the object is captured perfectly. 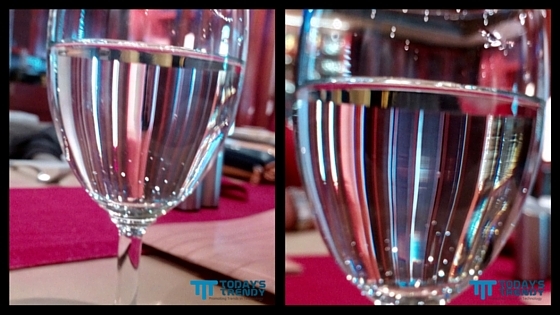 In low-light environment, the camera module beautifully captured the glass of water. The surrounding reflection also came out good. The description and sharpness of the images is amazing. 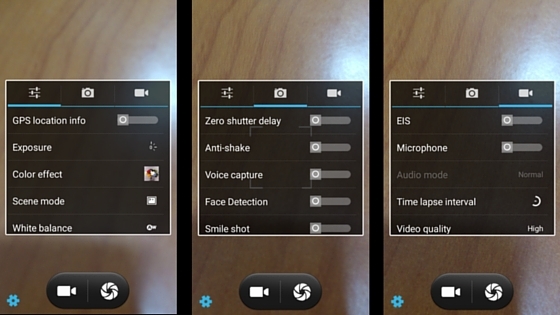 By default, the Continuous mode supports up to 40 continuous photos, which can be changed to 99 snaps as well. It merges all these snaps into a single file. When opened in Gallery, the final image turned out to be in GIF format. But the same was not replicated when copied to the computer. By default Live photo mode creates .3gp files. It can be opened by any video player. It creates a video for approximately 6 seconds. It can come handy while capturing funny videos. Selfie Mode enables the secondary camera. It supports Beauty mode, which smoothens the face and enhances face color by making it fairer. HDR mode is supported in normal mode photography. It enhances the overall color of the image by making it rich in appearance. Best part is that the enhanced version does not appear to be artificial. To enable Motion Tracking Mode, select the respective icon. To capture pictures, hold shutter button for few seconds and keep your mobile steady. It will capture 9 different photographs and merge it into a single image with GIF effect. We didn't find much difference between Live mode, Motion Tracking Mode and Continuous Mode. Except for the fact that if you share motion tracked file using Bluetooth, one can choose between GIF or Video formats, while for Continuous and Live Mode one can share video files only. The device comes with a gesture capture software. An image is clicked once the victory sign is detected. Additional settings that are available are Exposure, Scene Mode, White balance, anti-flicker, shutter delay, and anti-shake. One can capture low, medium, high or fine quality videos as selected in the settings. Upto 10 seconds of time-lapse videography is also allowed. The device comes with a decent camera, which is capable of capturing good quality photographs. Live Mode, Motion Tracking Mode and Continuous Mode appear to be three features with different names but (almost) same functionality. It would have been better if Continuous Mode supported different frames rather than merging all frames into a single file. Given the price of the device, the camera is a good deal. Photography is a burgeoning field of interest these days, and if you look around, you will see that almost everyone owns a camera these days and that too, a high-end one. Unlike old times, the digital revolution has made photography an affordable hobby for all. However, getting an expensive camera and supporting gear does not mean that your pictures will look amazing. Beautiful pictures require a creative aptitude, quite a deal of thought, and clear concepts about what do you want your picture to look like. I am, hereby, sharing few simple techniques which may help you click awesome pictures when shooting birds. Yes, I am saying patience first and most important part of bird photography. Always remember you, as a photographer, are an intruder to their world. They don't expect you to be here. They fear from you. They believe you are outsider to their world who has potential to destroy their little precious sweet world. So, you have to work hard to make yourself as a part of their little world. You need to become a part of their environment. You should not look like an outsider, but like an integral part of their environment. Don't chase them; instead wait for them patiently to come close to you. Yes, they will allow you to come too close to them once they start believing in you; once they start feeling you as part of their little sweet world. I am talking about to be a part of their environment, but how that can be achieved. What does it mean to be a part of environment? Is it really too hard to understand? Nope, it is not, but yes patience plays the most important part here. At first, try to understand your environment, feel its color, its sound, its music. Look around you, what's the color of soil, what's the color of trees and plants. Dress according to your surroundings. Don't dress with bright color, It attracts too much attention. Always try to wear light color, preferably light green. Yes, you read it correctly. Wait for your bird to come near you. Believe me it is the hardest part of bird photography, but not impossible one. Never chase your bird, the more you chase the more it will run away and it will alert others also. Listen to their voice, observe their movement, try to find out their frequent visiting places. Go to that place, stay low. Better lie down on the grass and wait for them to come near you. Remember you are not shooting some portrait or fashion photography where your subject will give you poses according to your choice and time. Here, you are doing bird photography where your object doesn't want to get clicked. They just want to live their live peacefully. They will come to you or give some action pose, that too unintentionally for a fraction of time, hardly for 3 to 4 seconds. If you want to get the best pic then better utilize these 3 to 4 seconds beautifully. You may not get these 3 to 4 seconds for whole day. Keep your setting ready. Visualize your frame through naked eye. Camera is just a tool to capture your thought, your story. You are the one who sees the beauty, the story, the uniqueness. Camera just reflects it to the frame. So feel the beauty and see it through your eye. I purposefully delayed this topic as I truly believe camera setting is something which can be learnt too quickly by reading few blogs (like this one), and by watching YouTube videos, but the first three points which I mentioned are really hard ones to master the essential part of bird photography. It's totally up to you, what you want to capture. If you want to capture motion, then keep your shutter speed low and move your camera with your object so that your object becomes stationary with respect to the camera, but background will become blurred with a trail in one direction, giving your object a motion. If you want a sharp image, keep your shutter speed high which makes your object sharp, and also it makes everything stationary. Your object (bird in this case) moves very fast, and its path is also very random. It is very hard to focus manually to their flying path. So, keep your camera on continuous mode. It resets the focus point according to flying path. High ISO makes the camera more sensitive to light, but it also introduces unnecessary noise to your photo, which reduces the beauty of your photograph. Mostly bird photography is done at day time, where you get sufficient amount of light. So it's better keep your ISO below 400 and adjust your light using shutter speed and exposure. I am mentioning this in the later part, because it is achievable at any point of time according to your purchasing capacity. Lens' price vary from $400 to $2000 according to your choice. Always use VR (Vibration reduction) lens. I personally found Nikon 70-300mm VR lens good with sunlight. Raw mode gives you independence for post processing. 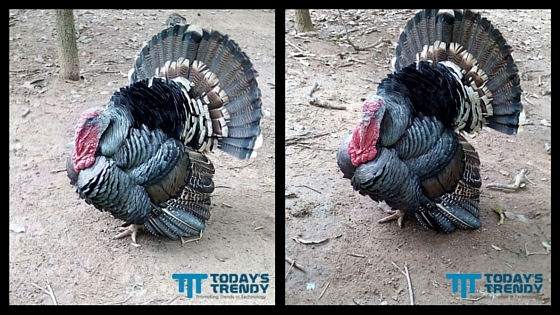 It captures maximum color, and you can adjust them according to your choice in post processing. Hope you understood the points I made. Now it's time to pick up your gear and start shooting (not with the gun, of course). Olympus has launched the OM-D E-M5 Mark II, its latest mirror-less camera, at a glittering ceremony at the ITC Grand Central, Mumbai. 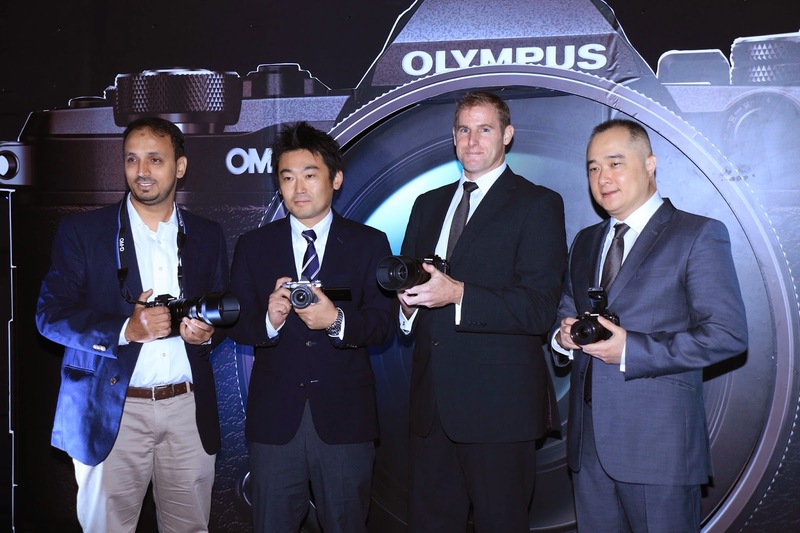 Mr. Marc Radatt, General Manager, Olympus Corporation Asia Pacific, who was visibly excited to share the company's latest in the interchangeable lens camera segment, unveiled the sparkling new model. With this camera, the next phase of evolution begins, as the body gets lighter, images get sharper and videos, smoother. It's the camera that everybody has been waiting for. 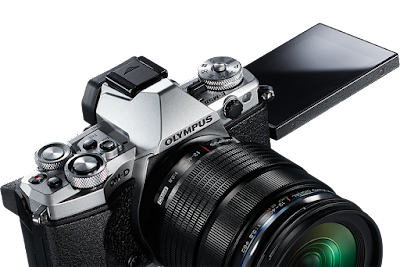 Olympus has invested its years of expertise and knowledge into this device. It features the most sophisticated image stabilization technology ever experienced in the interchangeable lens camera. The ultra sensitive 5-axis voice coil motor is immensely responsive, so that you can shoot sharp images in very low light and capture steady videos even when the camera is hand-held. Unlike other DSLRs, which are heavy and tough to carry, it is 40% lighter and comes with a splash-proof, dust-proof and freeze-proof body. There isn't a lower maintenance DSLR out there! There are several professional level features in the camera that allow you to experiment and shoot high quality videos. Its best-in-the-segment touchscreen interface makes it a dream to adjust the AF point, aperture, shutter speed and do much more without interrupting your recording. For the professionals, it is the perfect camera that comes with a lightweight body, a high-speed sensor, a super efficient image processor, large interactive EVF, a touch-and-swivel LCD screen with angle positioning, lightening fast autofocus and manual focus that give you complete control over your image. You can shoot everything from fast sports action to dramatic portraits with equal ease. There is an entire range of M.Zuiko lens, professional grade glass with digital-capture optics, flashes, grips and battery grip to choose from, so your camera always has all the lens, grips and accessories. 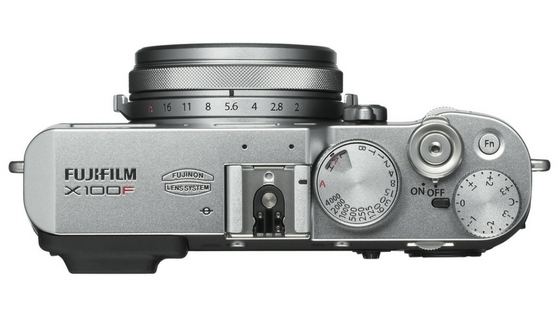 2014 has been a great year for camera enthusiasts. The year marked the launch of various lenses from the most versatile brands across the world. The unique features offered by these lenses are intriguing. Below I list down the best lenses (in no specific order or ranking) released during the year. 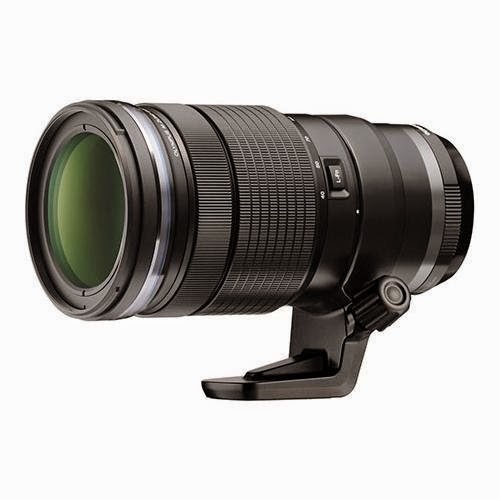 Fujifilm XF 50-140mm F2.8 R LM OIS WR lens features the latest technology, including dust, water and low temperature resistance, a triple linear motor, and the world's top image stabilization technology in its class. Its advanced performance makes it a perfect choice, not only for portraiture and snapshots, but also to capture fast-moving subjects in sports or wildlife photography, and for general outdoor nature photography. 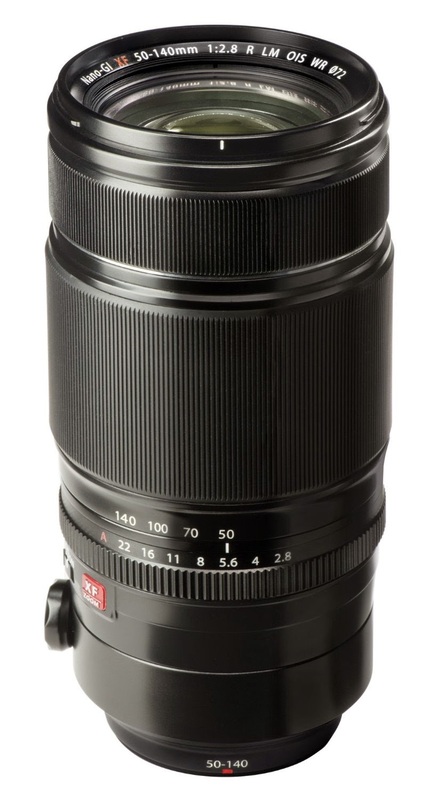 Olympus M. Zuiko Digital ED 40-150mm F2.8 Pro lens is the first telephoto in the M.ZUIKO PRO series that features a dust, splash and freeze proof construction. It incorporates the world's first focusing system to power two high-grade lens elements using dual linear voice coil motors (VCM). It's also perfect for wedding or event photography. It is versatile, portable and easy-to-use. 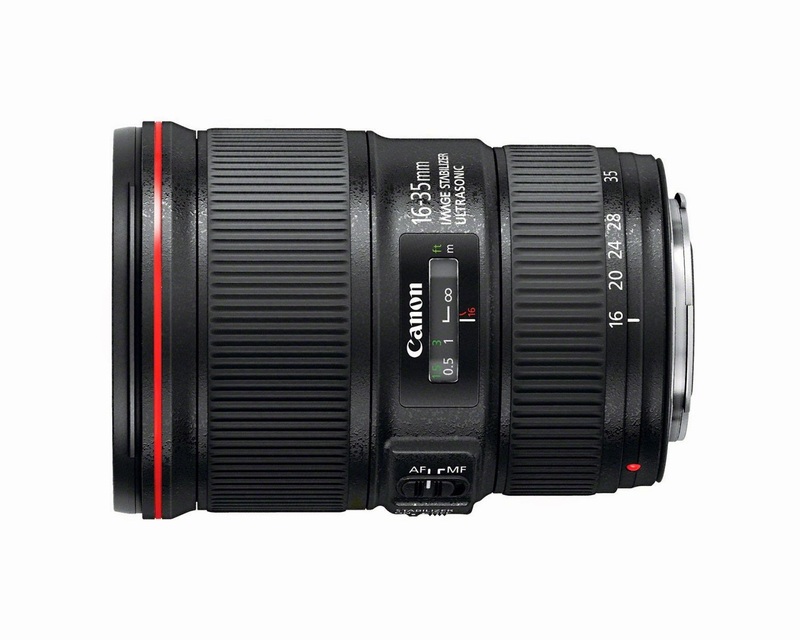 Canon EF 16-35mm f/4L IS USM lens is an L-series ultra wide-angle zoom lens, which incorporates an Optical Image Stabilizer, and offers up to four stops of correction for admirable performance even in dim light. It features three aspheric lens elements and two UD lens elements to minimize aberrations throughout the zoom range, plus a fluorine coating that helps to minimize ghosting. It's built to function even in unfavorable weather conditions. 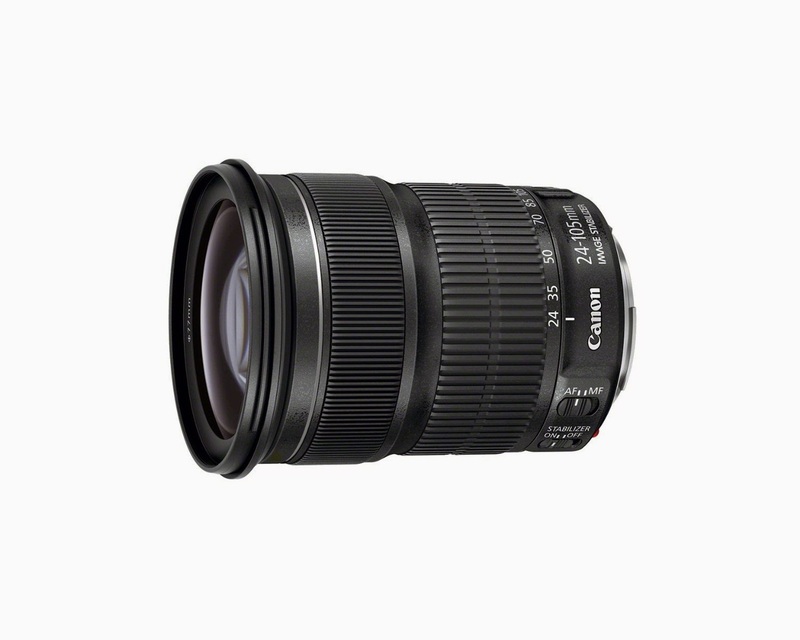 Canon EF 24-105mm f/3.5-5.6 IS STM lens is the first Canon EF standard zoom lens for full-frame sensor cameras to include a lead screw-type stepping motor (STM) for smooth and quiet autofocus and tracking while shooting movies or still images. It offers top-notch image quality. It's compact, has an advanced image stabilization system for up to four stops of compensation, and offers full time manual focus. 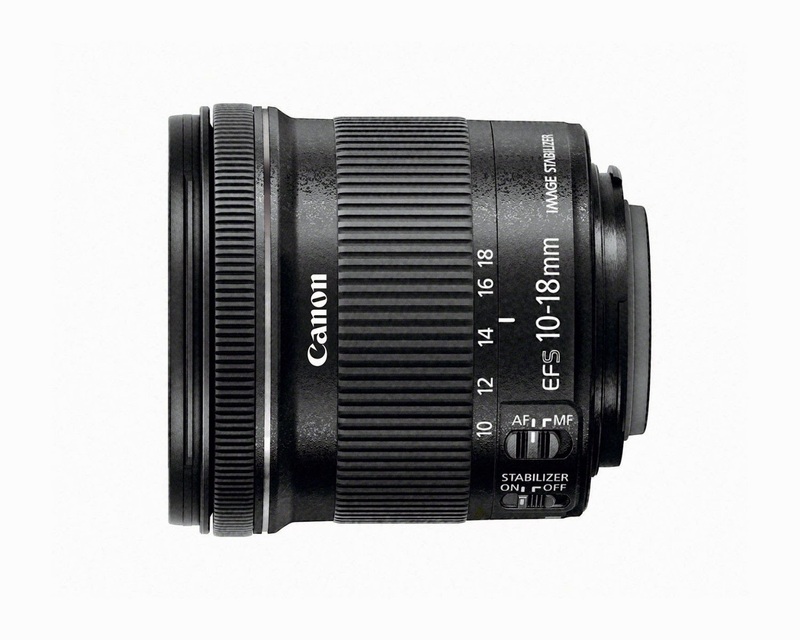 Canon EF-S 10-18mm f/4.5-5.6 IS STM lens provides an ultra-wide angle of view in a compact, portable package, perfect for EOS cameras with an APS-C sensor. It has a four group optical zoom system and includes a large-diameter element, an aspherical lens element, a UD lens element and enhanced lens coatings for high-contrast, high-resolution images with minimal glare and aberration. It delivers reliable, speedy and quiet wide-angle performance, making it an ideal lens for everyday photography, travel, stills and video recording. 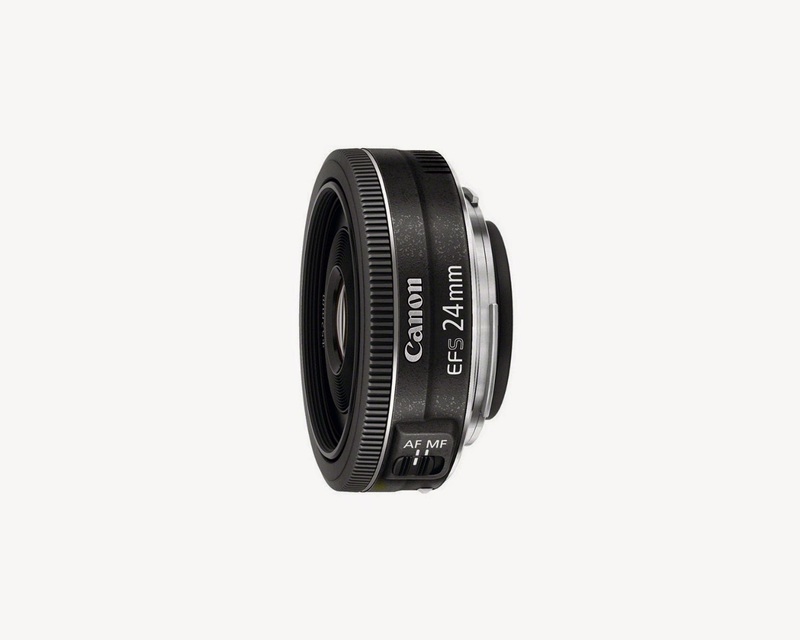 Canon EF-S 24mm f/2.8 STM lens is incredibly lightweight. It is a fast and versatile lens with advanced autofocus and superior optics. It's appropriate for a variety of purposes. It features optimized lens element placement and includes an aspheric element for high image quality from the center of the composition to the corners. It also has specialized coating on the lens elements to reduce ghosting and flare. It also offers full-time manual focus. It's a great fixed-optical length lens for photographers looking to add a travel-friendly option to their collection. How many of these do you own currently? Which one is your favorite? Are you planning to buy one?